The new Slideout Cover is a no-frills slideout awning that automatically extends with the slideout room to provide shade and protection, without breaking the bank! There's no need for manual locks or wind deflectors: Carefree's exclusive roller lock prevents billowing while in transit. The lock automatically engages when the room is closed and automatically unlocks when the room is deployed. 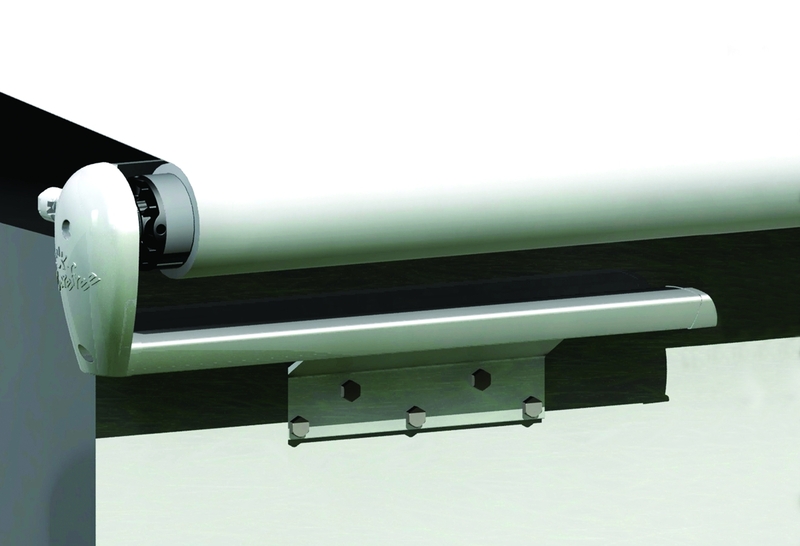 The roller tube and mounting brackets are made of heavy-duty extruded aluminum for years of use and piece of mind while protecting your investment. The Slideout Cover is available in our standard durable white vinyl and is finished with matching white mounting brackets and endcaps. Or, choose black vinyl with matching black mounting brackets and endcaps. A beautiful slideout awning at an economical price.